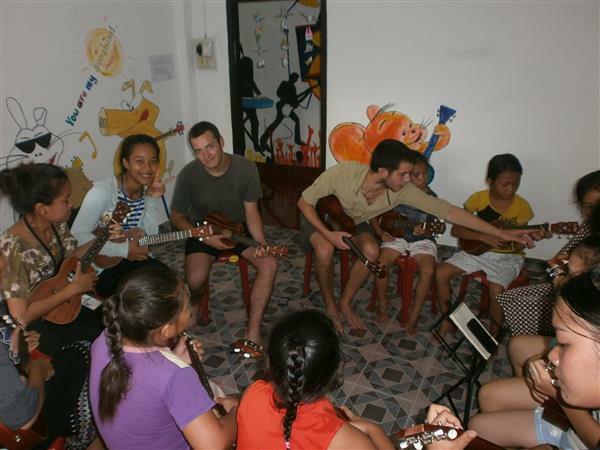 Thank Quentin Loth and Germain Pastar for spending your wonderful time at MES giving such useful ukulele lessons for kids. 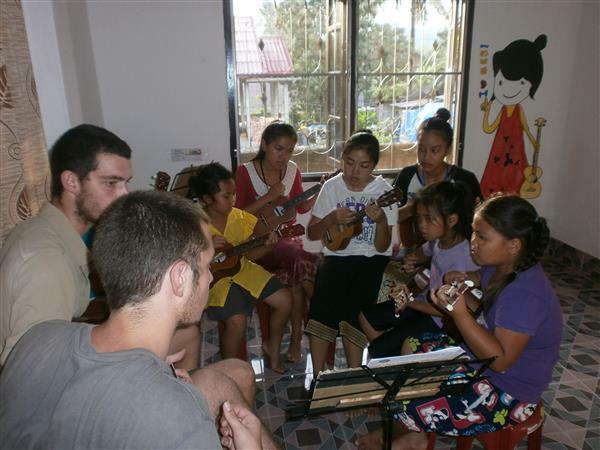 You guys are great ukulele players and the kids enjoyed it very much and they hope to see you again. 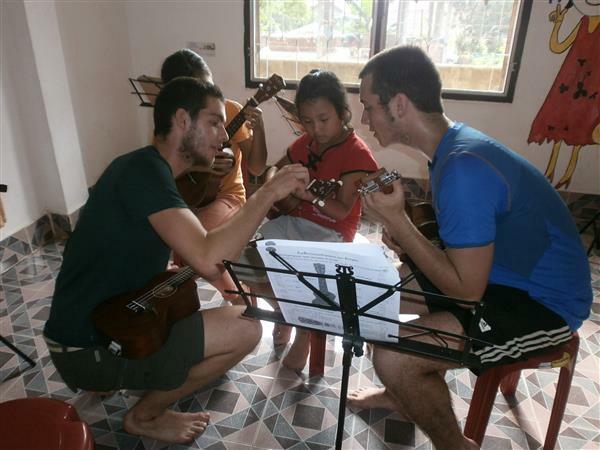 Quentin Loth and Germain Pastar are from France and very talented at ukulele. 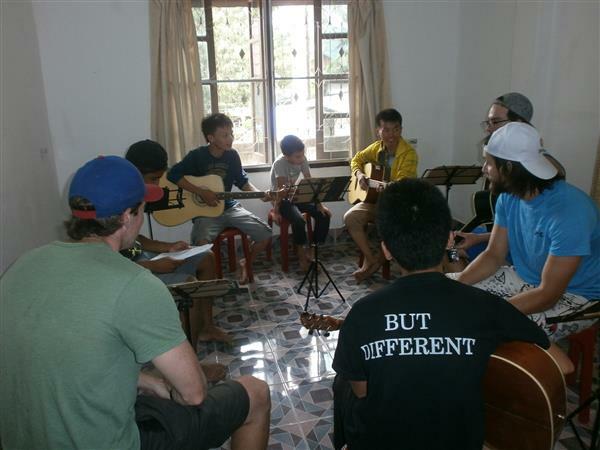 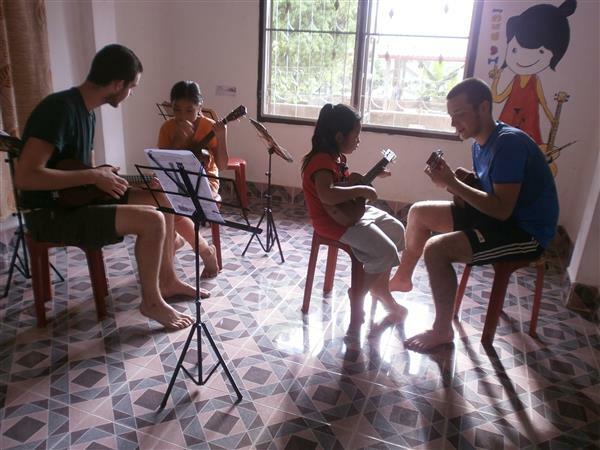 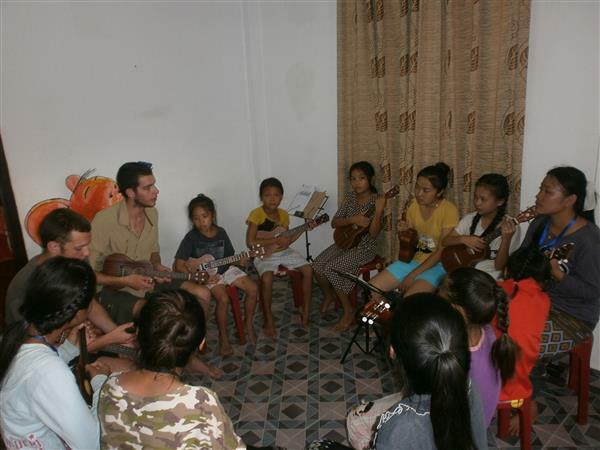 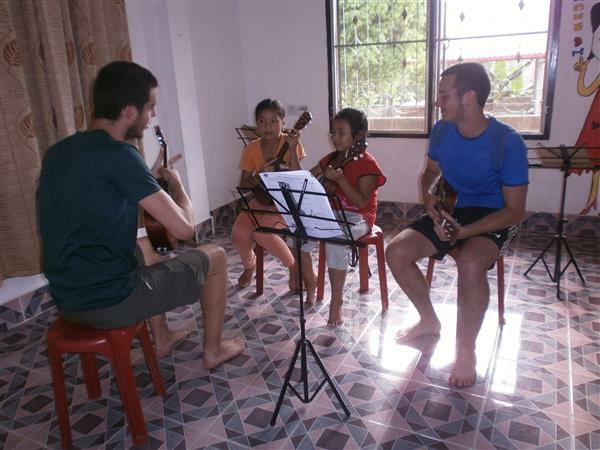 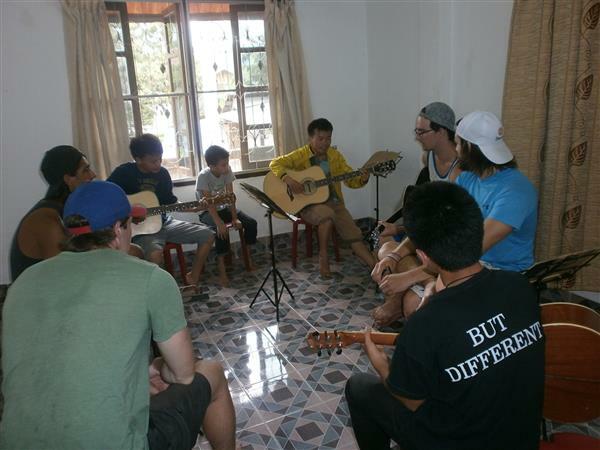 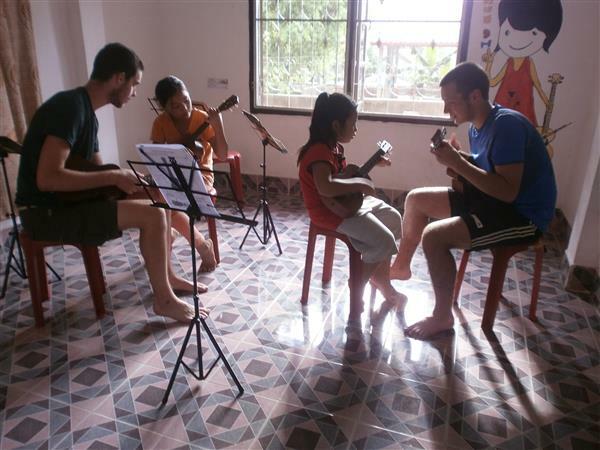 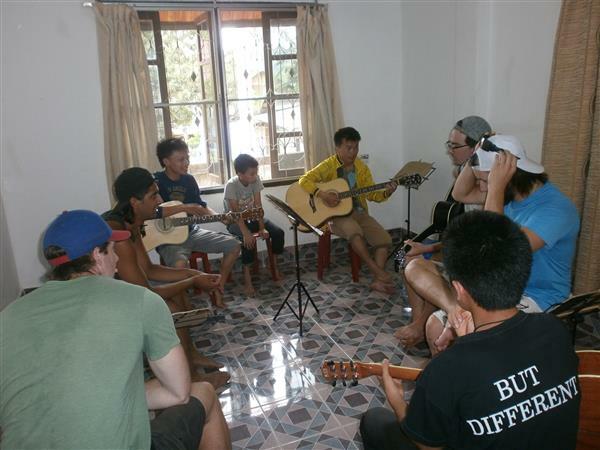 The were on holiday for a few days in Luang Prabang and have brought the ukuleles with them. 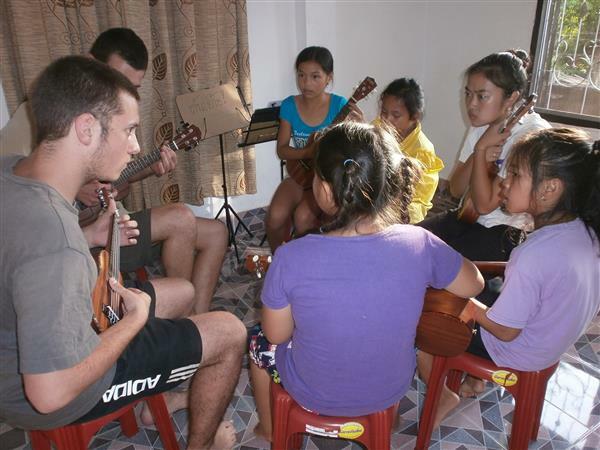 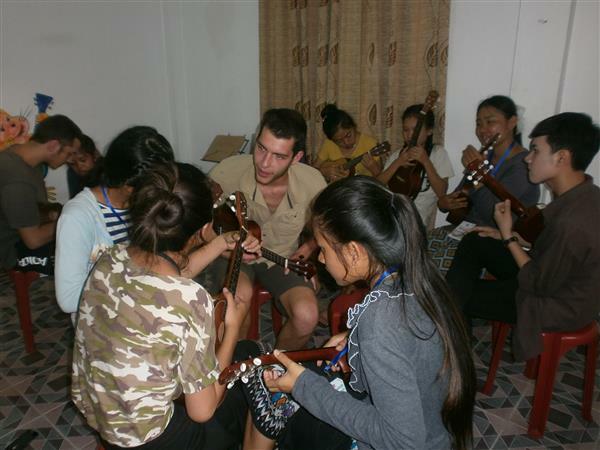 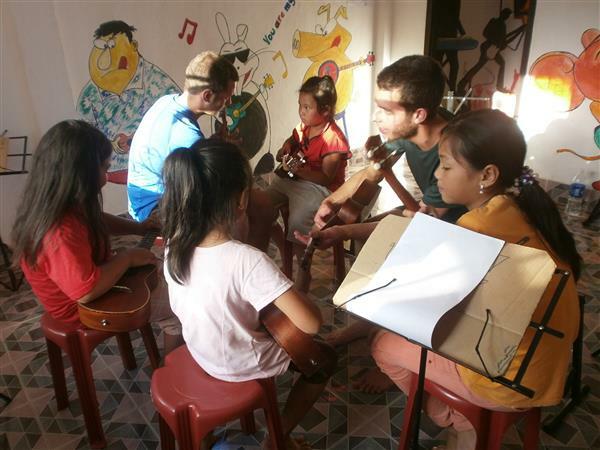 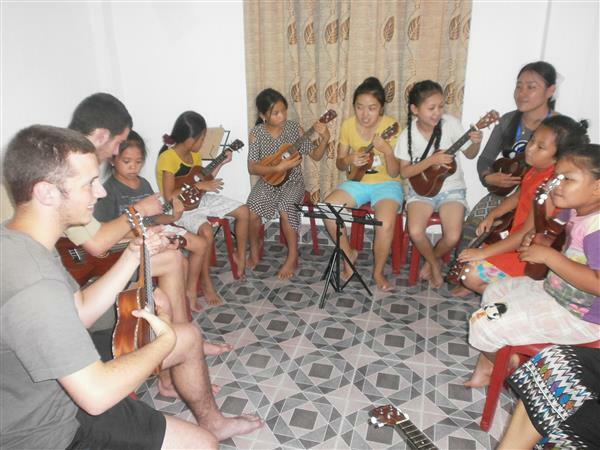 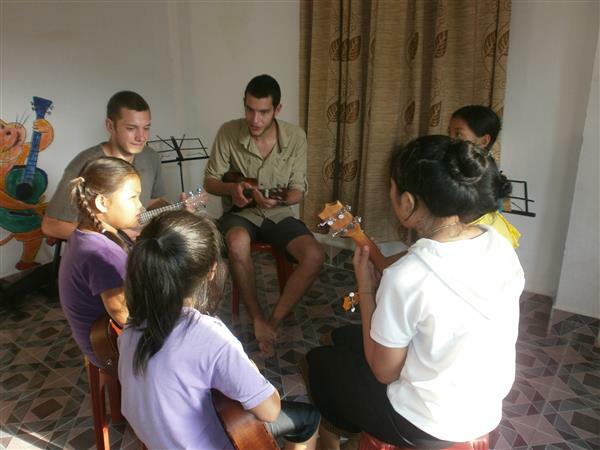 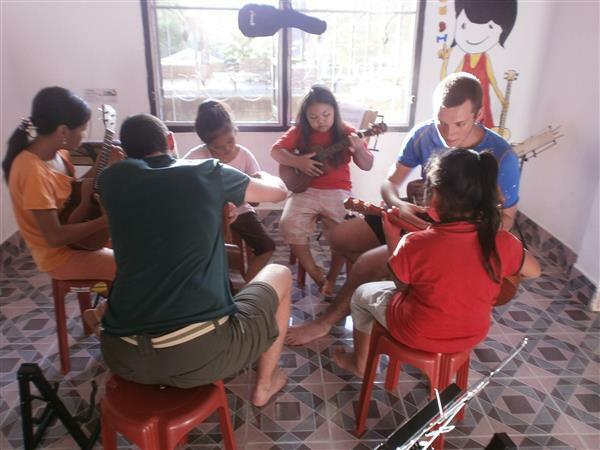 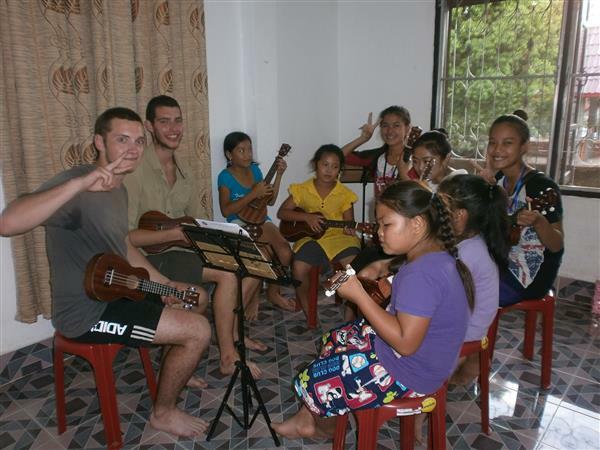 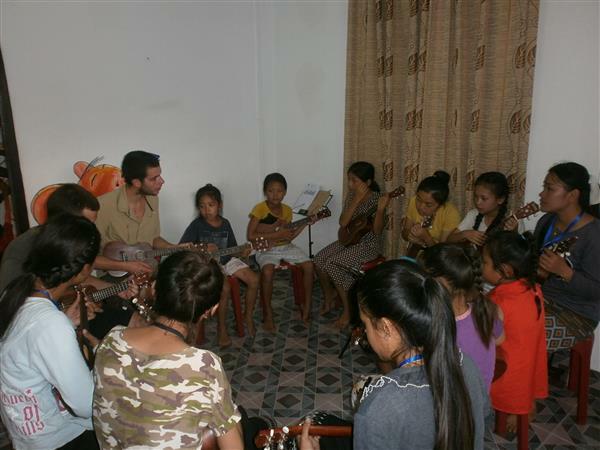 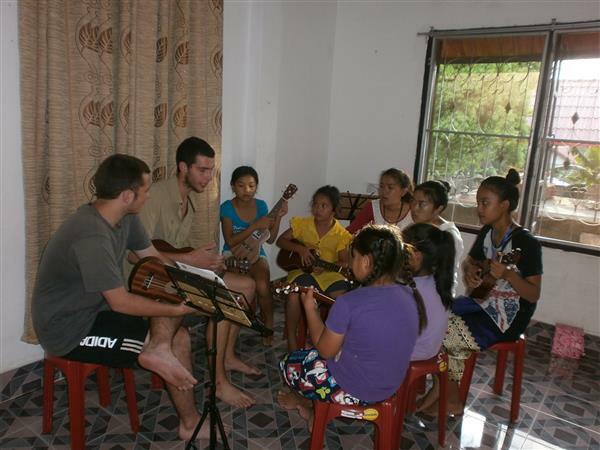 After they found MES they decided to help the kids learn ukulele. 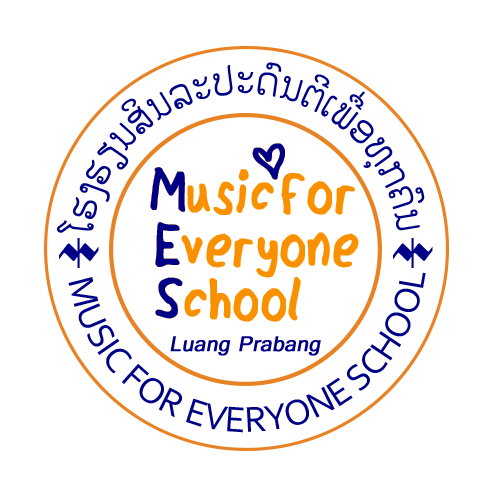 MES hopes they had a good time at the school and enjoyed learn Lao songs from the kids as the kid learning English song from them. 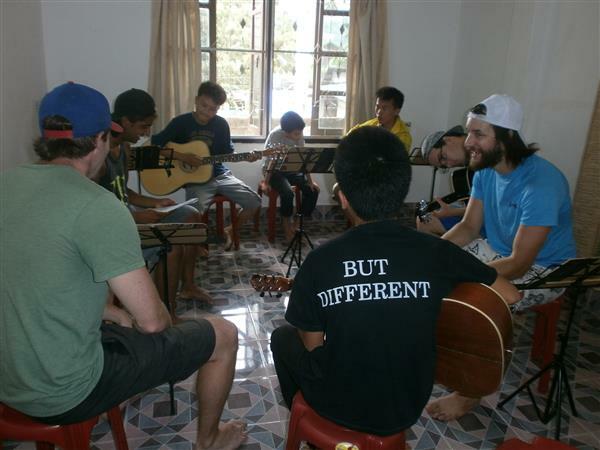 Also special thanks to these three guys Ryan Mann, Ian Reynolds and Jasper from Canada for your visit and some donation money.